The place to know and eat many strange fishes. I found there’s strange fish on the menu at Odayasu thanks to my friend’s tweet, so I went to there for eating it. 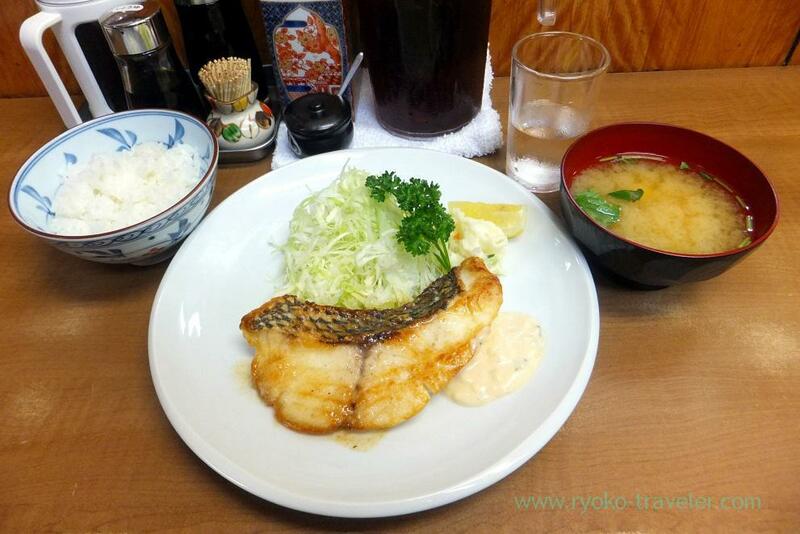 The fish’s name is Sea-perch snapper (Hime-dai). 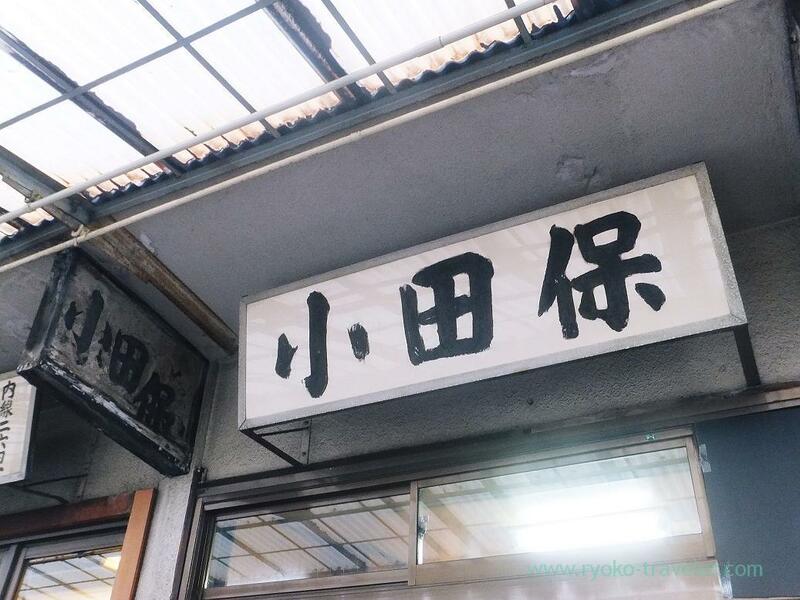 It is called “Ogo-dai (オゴダイ)” in Kanto region and Okinawan people call it “Kurukinmachi (クルキンマチ)”. 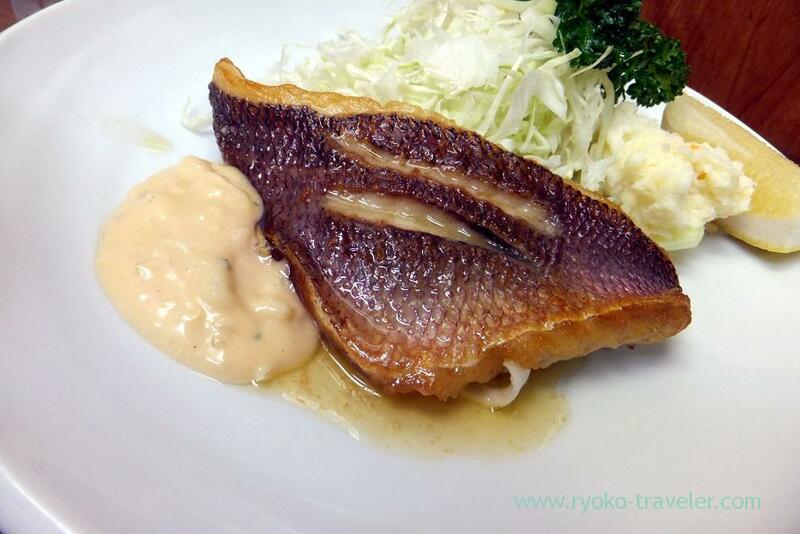 It is caught around Kozu island, Ogasawara islands. Its skin is soft pink before grilling. Of course, I ordered rice and miso soup, too. 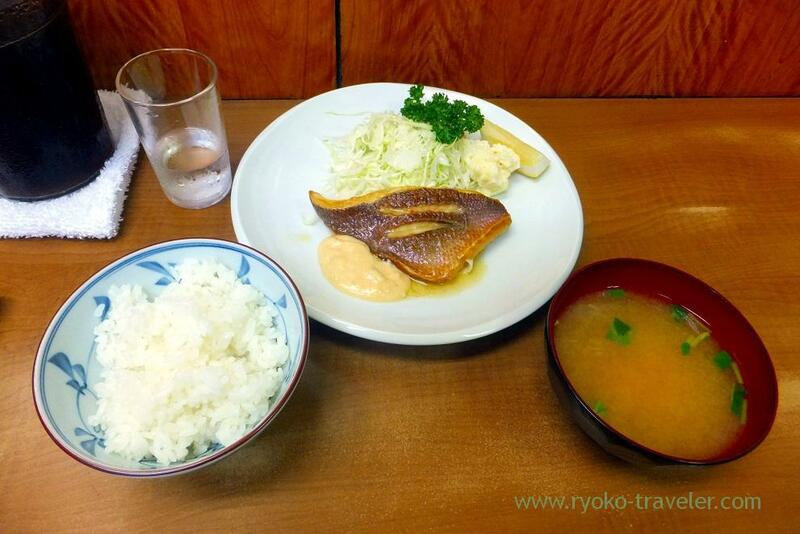 This fatty fish went with rice very well. And I went to there again a few days later for eating another strange fish. Lethrinus haematopterus is Fuefuki-dai in Japanese. It was more chewy than Ogo-dai. Well both fishes have “Dai” (“Tai”) in those names. 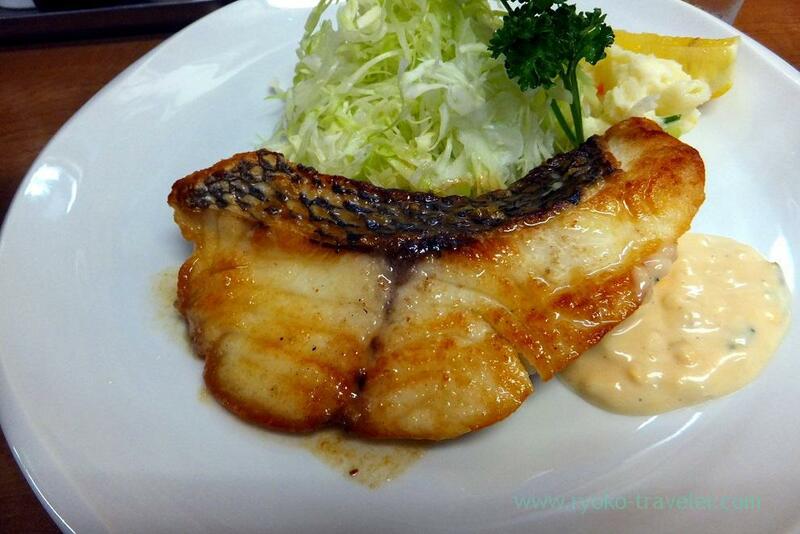 Tai means sea bream in Japanese. But those are not sea bream. There are so many fishes having “Dai” in those names nevertheless those are not sea bream. It’s because their white meat and looking is similar to seabream. By the way, I have been wanting to eat Scallop mix set (Deep fried scallop and fried scallop with butter set), but I can’t eat because whiteboard menu is always attracting me. Umm.